Show Customers Your Expertise. 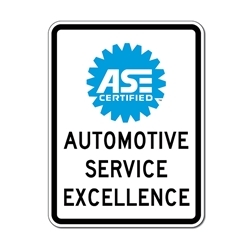 Join the more than 300,000 automotive professionals nationwide who have earned the ASE Blue Seal of Excellence. Behind the Wheel? Trust the Seal! Fact is customers will trust a Auto Repair Shop that has Certified mechanics.